Health Costs > How Much Does Hospice Care Cost? Hospice care is a special type of health care that is focused on caring for individuals who are terminally ill. The main goal of hospice is to keep the patient as comfortable as possible until the end of their life. 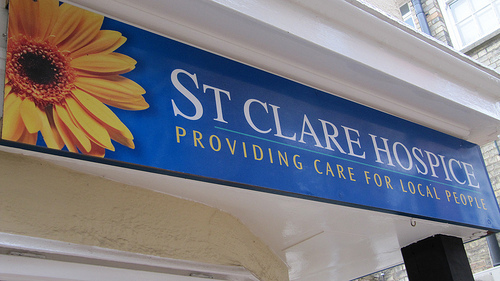 This hospice care is given 24 hours a day, with constant supervision of the patient and their needs. Since all hospice care is going to vary, it will come down to the type of care, the medication needed, the diagnosis of the person, geographical location and hospice center taking care of the patient. Depending on the type of care that is necessary, the average costs of hospice care can widely vary anywhere from $140 to as much as $1,000 per day without insurance. A patient that requires little to no supervision and medication can be near the $140 a day mark, while a patient that requires constant attention, medication and equipment maintenance can be close to that $1,000 a day mark. Most hospice care is going to be between the $140 and $300 per day average. Medicare and Medicaid, for example, will cover hospice care as long as the patient is certified by the doctor claiming he or she has less than six months to live. As long as they qualify, Medicare will cover doctor services, nursing care, home health aide, social work, therapy, counseling, equipment, supplies, drugs, short-term care and grief support. Medicare, however, won’t cover care arranged by the hospice organization, emergency room that’s unrelated, ambulance transportation or room and board costs. Cancer.about.com states there are different coverage payments for the potential costs of hospice care, and this includes private insurance, Medicare, and Medicaid. For those patients who opt to take Medicare as their choice of payments for their hospice care, most of your hospice care can be covered. To learn about what Medicare is going to cover, Caringinfo.org has answers. According to the American Hospice Foundation, patients with a terminal illness will usually not have to pay for hospice as long as you have Medicare, Medicaid or are insured through the Veteran’s Health Administration. Kaiser Health News said that the Medicare program paid a base rate of $151 per day, on average, to cover routine hospice services, adjusted for geographical differences. SeniorAdvisor.com says the average costs per day is $142, but Medicare will pay up to $672 for general inpatient or short-term hospice care. Your location is perhaps the biggest factor that affects the pricing of the hospice care. If you are in a city where the costs of living are larger, then you may have to spend higher for the hospice care costs as these are basically proportioned to the economy of the city in which you live. The extent of the care the patient needs is another factor that would affect the pricing of the hospice care cost. As stated above, a patient who needs constant attention and equipment maintenance will cost more than a patient who requires very little supervision. Most hospice care services will include registered nurses, hospice aides and social workers on site. Hospice will also include short-term care, on-call medical services, counseling, medical equipment and supplies, prescriptions, therapy and all treatments necessary to ensure that the patient is living as comfortable and healthy a life as possible. Hospice care comes in two main forms. You can either hire a hospice service that will send a nurse to your home on a daily basis, or you can put your loved one in a hospice care facility. Hospice care is a treatment system that works with the overall well-being and health of the person or patient. For many people who suffer from diseases and ailments, you have to think of the welfare of the person being cared for. Hospice care will include the social, spiritual, emotional, and physical well-being of the patient. This type of care is available for anyone who needs it. Basic planning of the needs of the patient will have to be assessed to make sure that the patient will have the comfort and care that he or she needs. While hospice care is an excellent option for the patient, it is also very helpful to the family. If you have a loved one that you are no longer able to care for, hospice might be a great option for both of you. If you are hiring a hospice care nurse to stay at your home, you may need to spend some extra money for their food and board. Some providers may require their meals to be housed by the patient’s family. Medications are usually not generally included in the hospice care and will be billed separately. Aside from medication, additional services such as equipment and miscellaneous services may be an additional cost to consider. Outside care from physicians and other medical professionals will be an additional cost. It is crucial that you ask around your area for the potential providers for hospice care. There are plenty out there, and you need to make sure you get the best. Do not settle for mediocre providers just because they are cheap. It is always best to consult with at least three at a minimum to make sure that they can provide the patient what they need. Social workers and care managers in the local hospital would have an idea of who are the best providers on the market if you are unsure where to begin. To qualify for Medicare, Medicare states a doctor must certify the patient has less than six months to live. Are you recognized by a national accepting body? Are you licensed by the state? What about the workers? How much responsibility is given to the average caregiver? If you really want to save on the funds or budget that you need to spend for the hospice care, then you may have to consider home care from hospital care. This is the best way for your to find an affordable provider who will help care for the well-being of your family member or even for yourself. If you are having a hard time footing the bill because Medicare does not cover all of the necessary expenses, there are many financial programs and grants available for those who qualify. Medicaid, for example, will cover the bill if you meet certain income and asset requirements. Talk with a local social worker or even talk with various hospice centers to if they can point you in the right direction. Those who don’t have health insurance coverage and can’t afford the service may be able to find a local hospice center that works on a sliding income scale.